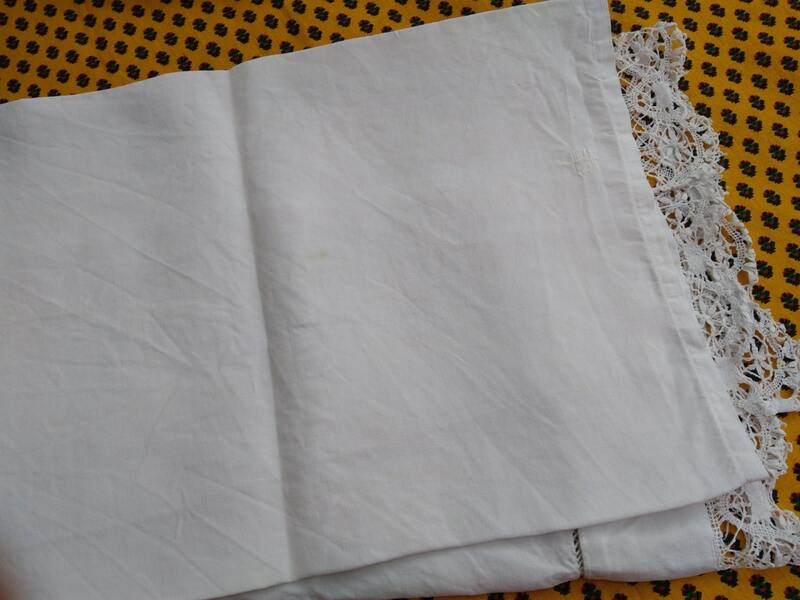 Victorian Baby flat sheet. 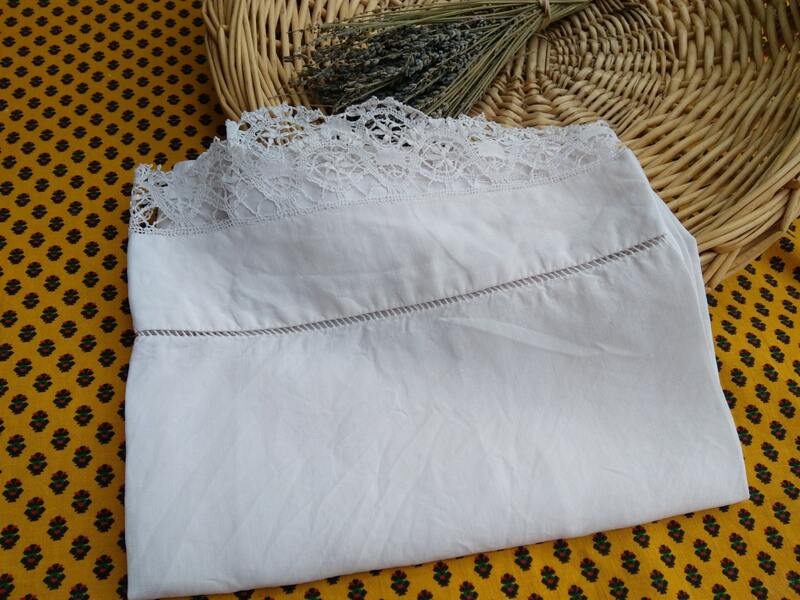 French thin "fil" linen Flat Sheet with ladder work and Gorgeous hand crocheted lace trim. 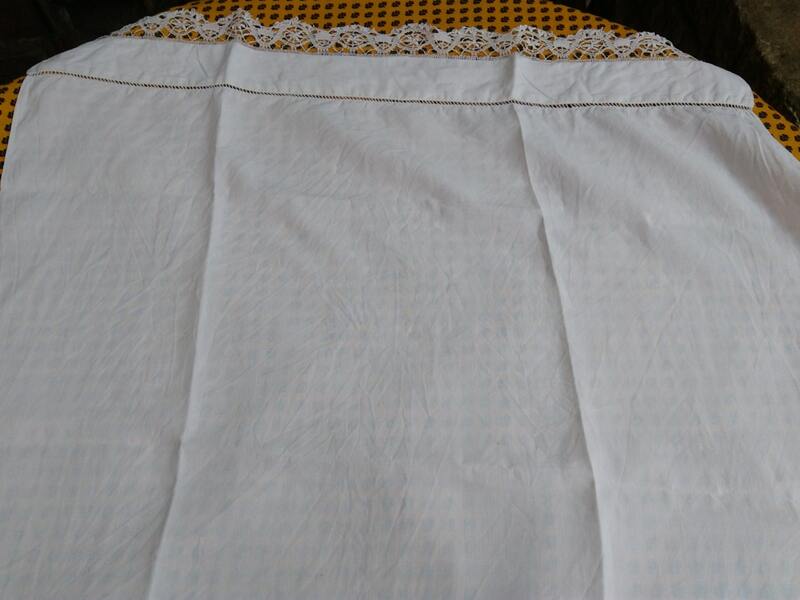 Good vintage condition with 1 small darning at the bottom. 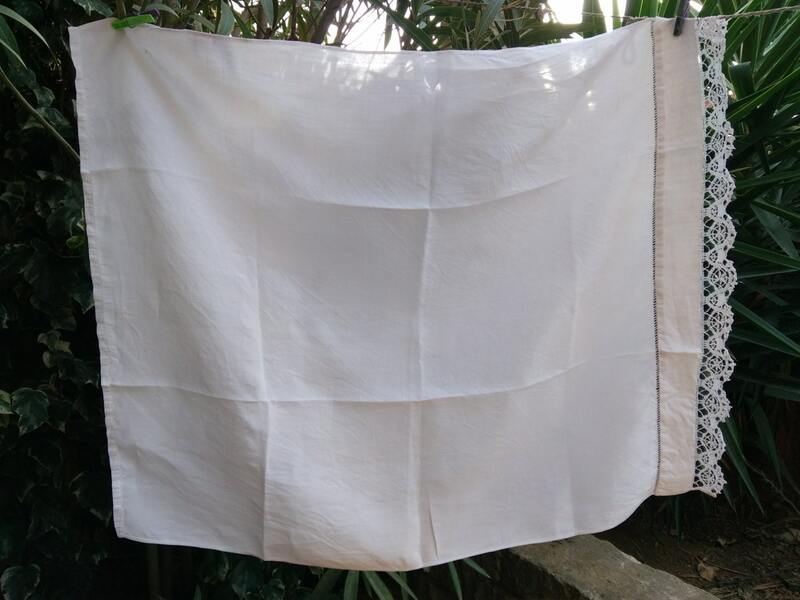 Gorgeous antique Baby linen flat sheet.